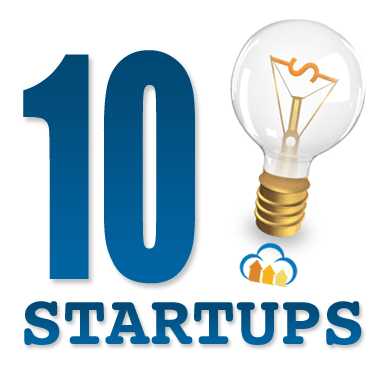 In the spirit of making a tradition out of it, we present Cloudinary's "10 Startup companies that manage their images in the cloud" - Part 2. (click here for Part 1). JustGo Music is a social music newspaper and content syndication platform launched in the fast growing electronic dance music industry for fans and pros alike. JustGo Music's media rich website leverages Cloudinary for embedding Facebook profile pictures of your favorite artists. Tint helps you build web pages made up of all your social website images, feeds and hashtags. All the images shown in Tintup's widgets are fetched by Cloudinary from every available social network. Cloudinary then optimizes and deliver the images to Tintup's viewers. Milkster is a crowd-curated catalog of remarkable lifestyle products from around the world and across the web. Milkster utilizes Cloudinary to upload, manipulate and deliver all of these great images. Givey is a Social Donation Platform that makes giving to the causes you care about effortless. Givey makes sharing, caring and charity in general, easy by connecting people that care about similar causes and allowing to donate to those charities. Apartable provides personalized apartment matching and recommendations to renters, suggesting relevant apartments and giving them all the information they need to make an informed decision. All the apartment images, there to give you a better idea of what you're heading in to, are managed by Cloudinary. SunnyBump helps new parents discover, curate, share, & buy the best baby products on the market today. With the help of parents who've been there before and the industry experts who know, SunnyBump helps find all the baby products around. Tunezy is a social platform for the recorded music industry, which creates a platform where fans and musicians can build experiences together. Tunezy utilizes Cloudinary to streamline their image management needs. Toogethr is an online and mobile transportation service that lets you make best use of social networks. Toogethr's mission is to make mobility affordable, sustainable and social, by optimizing the billions of empty car seats in this world, and building a door-to-door rideshare network. Not a startup per-se, SeeYourImpact is a non-for-profit that offers a revolutionary method to help those in need by a way of gift giving. These gifts will go on to change people's lives. Following the donation, a photo and story is sent over to the gift donor showing his impact on the world. The photo, and all other images on site, are delivered via Cloudinary. Roomz goal, as its name implies, is to help find the best roommate for you. A roommate that loves your flat, furniture, dog, cat and goldfish. Roomz is a platform to connect people looking to share cold pasta and cheesy 80's movies in a great apartment. Cloudinary is here to deliver all the images involved, so you'll know exactly where you're headed, what bedroom you're going get and how your potential roommate looks like first thing in the morning. As you can imagine, it was difficult to choose only 10 companies, but we tried to keep the fields of interest varied and to show as many different integration methods with Cloudinary. We hope to continue with this tradition, so if you're not on this list and would like to be - drop us a line! We would be happy to include you in the next one, and to thank you for using our services of course.